Is this what participants in Brooklyn’s culture industry do while everyone’s reuniting with their families over the holiday interval? Dress up in robes & hang fake Christmas trees from the rafters? Well, no, my Christmas wasn’t quite so glamorous as all that. 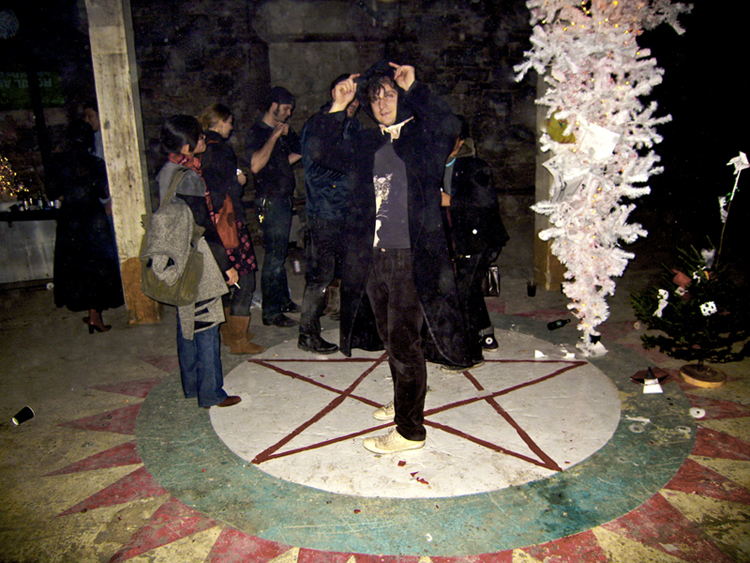 But this photo — which I snapped in 2005, right after a Sunn O))) show at the Brooklyn venue formerly known as North Six — should go some distance in proving I was ahead of the curve on the heavy metal resurgence. Of course, I went with this guy who was & is even more ahead of the curve.